IMCDb.org: 1900 Daimler Wagonette in "James May's Cars of the People, 2014-2016"
James commentary talks about US cars 100 years ago at this point, but I think his geography is confused. BB 29 was early 1904 Newcastle plate. This looks to be a British Daimler wagonette - independent of Daimler in Germany by this time. 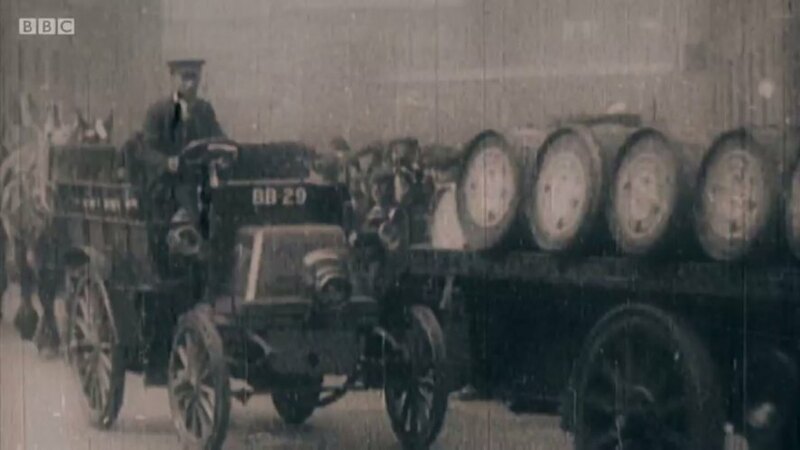 It probably dates from about 1900 - before that they had tiller steering - but gained the 1904 plate when the new regulations came in requiring all vehicles to be registered. But what's the episode ? Ep 2.03 (from Feb 2016).